DIY - Pet Baby Shower fundraiser! 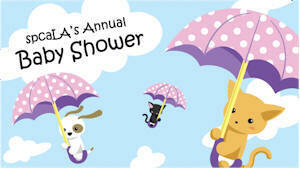 shower is an interactive way for animal lovers to support the League’s foster care program and learn more about participating as a foster parent. The foster care program saves lives by providing kittens, puppies, and adult animals a stable home environment to grow healthy and strong, recover from medical procedures or gain confidence and courage after a life of poor treatment.